As a first step towards improving quality of life for this community, Claydon first had to collect data on the most pressing concerns for individuals with spinal cord injury. Her results showed that bowel care, followed by sexual function, bladder function and pain were of key concern. Surprisingly, one of the lowest-ranked concerns was using a wheelchair for mobility. Claydon, an associate professor in the department of biomedical physiology and kinesiology, explains that in addition to paralysis and abnormal sensation, those with spinal cord injury can have damage to their autonomic nervous system (ANS). The ANS controls internal body processes such as blood pressure, heart rate, body temperature, metabolism and bowel, bladder and sexual function. "Bladder and bowel care for those with spinal cord injury is particularly difficult to manage because the neural pathway that travels between the brain and the bowel or bladder can be profoundly disrupted," says Claydon. She notes that ANS damage also brings significant health concerns. For example, a full bowel or bladder triggers a rise in blood pressure. Normally, nerve signals from the brain would act to turn off the blood pressure increase. However, when the spinal pathways from the brain are damaged by spinal cord injury, this message cannot be transmitted through the spinal cord, and the blood pressure remains high until the bowel/bladder is emptied. This can happen several times a day and last for prolonged periods of time. "As a quality of life issue and a health issue, this needs to be addressed," says Claydon. "Consistently high blood pressure can lead to irregular heart beats, death, seizures and heart attacks." She adds that the leading cause of morbidity and mortality in spinal cord-injured individuals is cardiovascular disease. In addition to describing problems with blood pressure and heart rate associated with bowel care, participants reported a devastating impact on their quality of life. They commented that bowel care interfered with their social life and personal relationships, and prevented them from staying away from home. They also reported that the time that they spent on bowel care was a significant problem. Survey data showed that one-third of respondents spent more than 30 minutes on bowel care, while one-quarter spent more than an hour. The study also found that 71 per cent of respondents manage bowel/bladder care by intentionally restricting their fluid intake. "Unfortunately," says Claydon, "in doing this, you increase the likelihood of constipation, which makes bowel care even more complex." Reduced fluid intake is also associated with severe orthostatic hypotension (blood pressure that is too low to properly supply blood to the brain) and fatigue due to the decrease in blood volume. 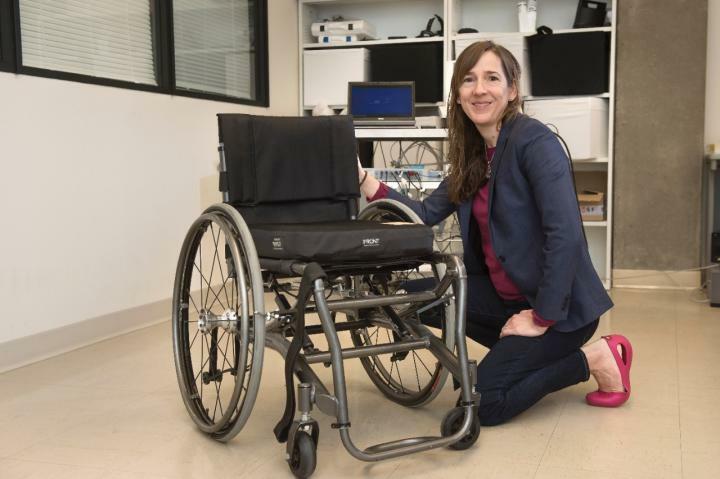 "Clearly, we need to find holistic solutions to these concerns that recognize the interplay between the many different bodily systems that can be affected by spinal cord injury," she says. Claydon accepts that science is a long way from curing spinal cord injuries, however she's adamant that research can improve quality of life for this community. "We need to consider the importance of care as well as cure. At this point in time a cure for spinal cord injury remains elusive. While of course we hope that this will be a reality in the future, we should also recognize that sometimes a small change can make a profound difference in one's quality of life, and that's a laudable goal." How does the brain's spatial map change when we change the shape of the room?